4400401 R992 LIEBHERR R992 crawler excavator Service Manual and additional technical information for repair and operating. 4400402 R994 LIEBHERR R994 crawler excavator Service Manual and additional technical information for repair and operating. 4400403 R994 Litronic LIEBHERR R994 Litronic crawler excavator Service Manual and additional technical information for repair and operating. 4400404 R984B Litronic LIEBHERR R984B Litronic crawler excavator Spare parts catalog. Service Manual and additional technical information for repair and operating. Operator's Manual. 4400405 R984C Litronic LIEBHERR R984C Litronic crawler excavator Spare parts catalog. Operator's Manual. 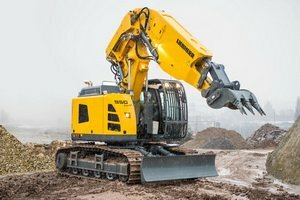 4400406 R984B Litronic LIEBHERR R984B Litronic crawler excavator Service Manual and additional technical information for repair and operating. 4400407 R994 Litronic LIEBHERR R994 Litronic crawler excavator Spare parts catalog. Service Manual and additional technical information for repair and operating. Operator's Manual. 4400408 R994B Litronic LIEBHERR R994B Litronic crawler excavator Spare parts catalog. Operator's Manual. 4400409 R994BE Litronic LIEBHERR R994BE Litronic crawler excavator Operator's Manual. 4400410 R994B Litronic LIEBHERR R994B Litronic crawler excavator Service Manual and additional technical information for repair and operating. 4400411 R995 Litronic LIEBHERR R995 Litronic crawler excavator Spare parts catalog. Service Manual and additional technical information for repair and operating. Operator's Manual. 4400412 R996 Litronic LIEBHERR R996 Litronic crawler excavator Spare parts catalog. Operator's Manual. 4400413 R996B Litronic LIEBHERR R996B Litronic crawler excavator Operator's Manual. 4400414 R996 Litronic LIEBHERR R996 Litronic crawler excavator Service Manual and additional technical information for repair and operating. 4400415 R9100 Litronic LIEBHERR R9100 Litronic crawler excavator Service Manual and additional technical information for repair and operating. Operator's Manual. 4400416 R9250 Litronic LIEBHERR R9250 Litronic crawler excavator Spare parts catalog. Service Manual and additional technical information for repair and operating. Operator's Manual. 4400417 R9350 Litronic LIEBHERR R9350 Litronic crawler excavator Spare parts catalog. Service Manual and additional technical information for repair and operating. Operator's Manual. 4400418 R9400 Litronic LIEBHERR R9400 Litronic crawler excavator Service Manual and additional technical information for repair and operating. Operator's Manual. 4400419 R9800 Litronic LIEBHERR R9800 Litronic crawler excavator Service Manual and additional technical information for repair and operating. Operator's Manual. 4400421 R900 HD-S Litronic LIEBHERR R900 HD-S Litronic Crawler Tunnel Excavator Spare parts catalog. Operator's Manual. 4400422 R902 HD-S Litronic LIEBHERR R902 HD-S Litronic Crawler Tunnel Excavator Spare parts catalog. Operator's Manual. 4400423 R912 Litronic LIEBHERR R912 Litronic Crawler Tunnel Excavator Spare parts catalog. Operator's Manual. 4400424 R924 Compact Tier 3A LIEBHERR R924 Compact Litronic Tier 3A Crawler Tunnel Excavator Spare parts catalog. Operator's Manual. 4400425 R932 Litronic LIEBHERR R932 Litronic Crawler Tunnel Excavator Spare parts catalog. Operator's Manual. 4400426 R934B HD-S Litronic LIEBHERR R934B HD-S Litronic Crawler Tunnel Excavator Spare parts catalog. Operator's Manual. 4400427 R944C Litronic Tier 3A LIEBHERR R944C Litronic Tier 3A Crawler Tunnel Excavator Spare parts catalog. Operator's Manual. 4400429 A900C ZW Litronic LIEBHERR A900C ZW Litronic Railroader Excavator Operator's Manual. Service Manual and additional technical information for repair and operating. 4400430 A900ZW Litronic LIEBHERR A900ZW Litronic Railroader Excavator Operator's Manual. Service Manual and additional technical information for repair and operating. 4400431 A900C ZW Litronic Tier 3A LIEBHERR A900C ZW Litronic Tier 3A Railroader Excavator Operator's Manual. Service Manual and additional technical information for repair and operating.